Kol Nidre is one of THE most Jewish prayers of the Yom Kippur service. The word "prayer" is a slightly out of place, as Kol Nidre is not really a prayer. People rather call it a chant or saying. However, Kol Nidre is an ancient text sung in an ancient heartbreaking melody. Usually it is said before sundown and Ma'ariv. With Kol Nidre we begin the very long Yom Kippur prayer service. The Aron (Ark) is opened and three Torah scrolls are being removed and put onto the Bimah. 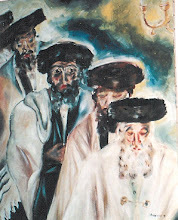 The Shaliach Zibur takes one of the scrolls into his arm and the other two are taken by two respected community members. There is the Minhag that the men wear at Tallit at this point. 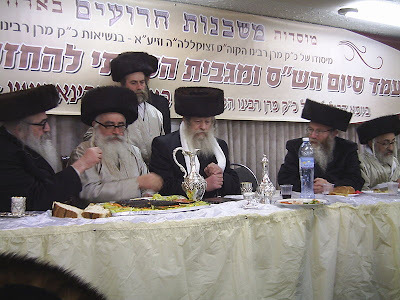 In most cases the Shaliach Zibur is a rabbi whose task is to sing the Kol Nidre three times. The history of the Kol Nidre goes back to the "Responsa of the Geonim" (approx. 800 – 1000 CE). The purpose of the Kol Nidre is to annul all our vows which we might do during the new year until Rosh HaShana. The famous Jerusalem Chabad rabbi, Rabbi Adin Steinsaltz, writes in his book "A Guide to Jewish Prayer" that this ceremony is an emotional release for all participants (Kehilah). The Kol Nidre has a deep emotional meaning; our soul rises to higher levels and, thus, gaining inner peace for Yom Kippur. As I was doing some research on this subject I found out that already in the Middle Ages the church was spreading rumours and hatred, as they misinterpreted the meaning Kol Nidre. Not, that this kind of causing hatred and anti – Semitism is anything new, however, until today these misinterpretations seem to be quite popular among Christian websites. Nothing has changed, so to say. Certain websites still keep the old claim alive that Christians are better business partners than Jews, as one can rely on a Christian promise. Jews never keep anything because they have their Kol Nidre which annuls all promises. Welcome back to the Middle Ages. Why do we say Kol Nidre ? Many people especially like to make a vow when they are angry. "If you do not such and such, I will never speak to you again" – is one of the most popular and common vows. As soon as we overcome our anger we forget about our vows but G – d does not and could later accuse us of not keeping anything. The Kol Nidre annuls such kind of vows in advance and it has nothing to do with being a good or bad business partner. However, the Jews of the Middle Ages did use the Kol Nidre for something else. Many of them were forced by the church to convert to Christianity and many did so. The new "Christians" went to church and said whatever Christian things in public but as soon as they came home, they prayed Shacharit. The show was over. Let's get back to our real life. Whatever church forced them to vow, the Jews did but always keeping the Kol Nidre in mind which annuls everything right away. This was probably the reason why the church of the Middle Ages got fed up and invented some ground for more hatred.